Dr. John Kwakye, an economics consultant, has said he expects the prospects of the banking sector to improve in 2019 following a turbulent 2018. His remarks come less than a week after the collapse of two more banks ; Heritage and Premium Bank. This brought the number of collapsed banks in the last 20 months to nine. The BoG has also approved three mergers involving six local banks after each of them struggled to meet the 400 million cedis capital requirement on their own. 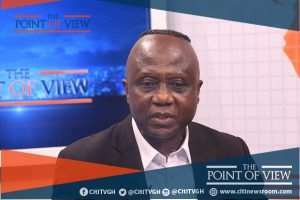 “We were certainly in a deep crisis but I believe that the situation has been reasonably managed by the central bank and government,” he said on Citi TV’s The Point of View. Ghana’s banking woes first became apparent in August 2017, when the Bank of Ghana gave GCB Bank Ltd the green light to acquire two local banks; UT and Capital bank due to severe impairment of their capital. Ghana’s financial space now has 23 banks operating, a drop from the 34 that were operating in the country as of January 2017. This followed the expiration of the deadline given to banks in Ghana to recapitalize by at least GHc400 million by December 31, 2018, or risk having their licenses revoked. Dr. Kwakye observed that the consolidation was “only natural” given the size of the economy. For him, the fact that the banking crisis didn’t have a more damaging impact on the economy was no surprise.